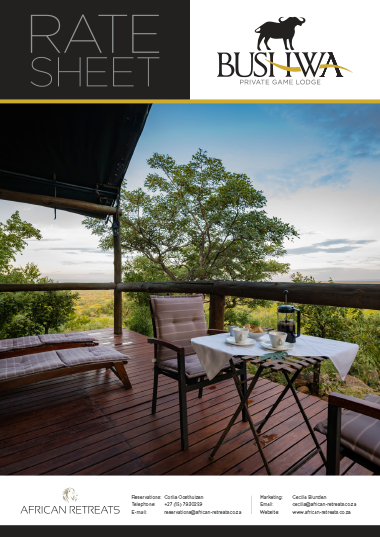 Enjoy a range of activities at Bushwa such as daily game drives in the Waterberg biome, relaxing spa treatments at the lodge and late night stargazing. 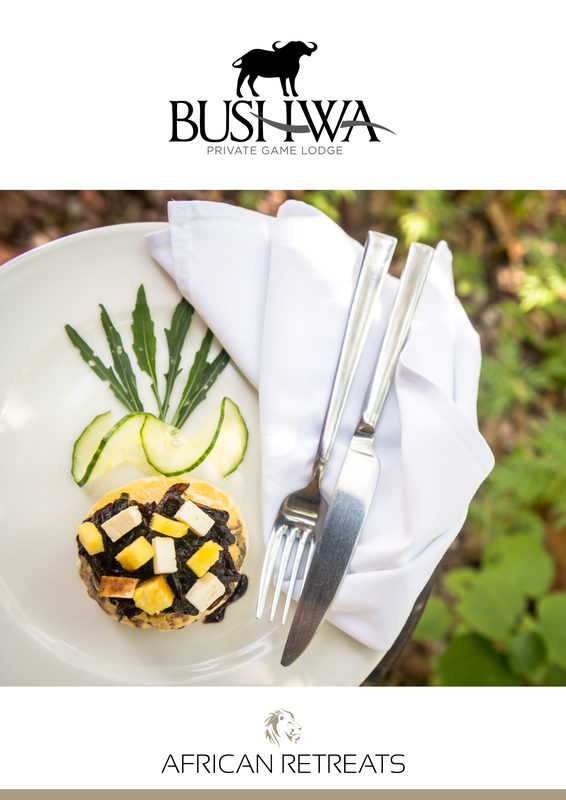 There are plenty of safari activities and things to do while staying at Bushwa Game Lodge. 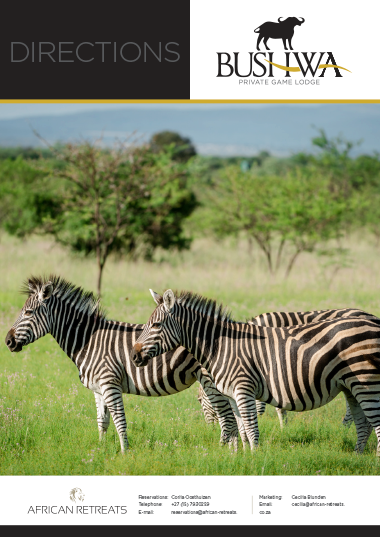 Game drives are a standard, and take place twice a day. They take place in an open game viewer, allowing you to feel that much closer to nature. The morning game drive takes place at dawn and the the evening drive lets you see enjoy sightings of nocturnal predators. And there's always a break for sundowners! Unique activities at Bushwa include clay-pigeon shooting, and target shooting; and there's a wealth of other activities in the immediate area. Game drives take place in the surrounding Waterberg region, a unique biosphere. 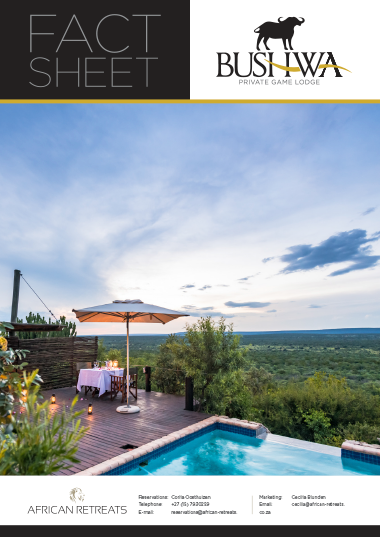 Days begin and end with game drives, followed by hearty meals. 19h30 – Dinner is served. After dinner guests can relax around the campfire in the boma area. Daytime temperatures range between 14 and 25°C. The dry season runs from May to September, with June and July relatively cool and August and September hot and humid. The wet season begins in November and finishes in March. April is autumn and a transition month while late September to early November is spring. While its levels of annual rainfall – which range between 485mm and 719mm – are not exceptional, there are plenty of permanent sources of water. The Waterberg has a wider variety of flora and fauna than elsewhere in Africa. The diverse reserve sustains over 40 species of game, and 300 species of resident and migrant birds which means it's ideal for nature drives. The lodge is in a malaria-free zone, and offers a sense of tranquility and luxury to its visitors. Swimming pools, private decks, spa treatments and sundowners are the order of the day at our special spot!